Big Bend is in southwest Texas along the Rio Grande. Across the river is Mexico and within the park is the entire Chisos Mountain Range. There are Cottonwood trees along the river and other water sources, vast desert plains, hot springs, cooler mountain vistas, deep canyons, and miles of scenic roadways. It was very warm during the day and very cool at night. We saw more stars in Big Bend than we have ever seen. Like all desert habitats, Big Bend can be harsh and unforgiving. In addition to the wildlife photos in this gallery, we saw hawks, coyote, fox, and desert whitetail deer. Deb also saw a bobcat I missed. Big Bend is considered a birder's paradise and I did see birds here I never expected to see. In season the cactus and wildflowers bloom. We were a couple of weeks too early for most of that, but I'll use it as the excuse for going back another spring. 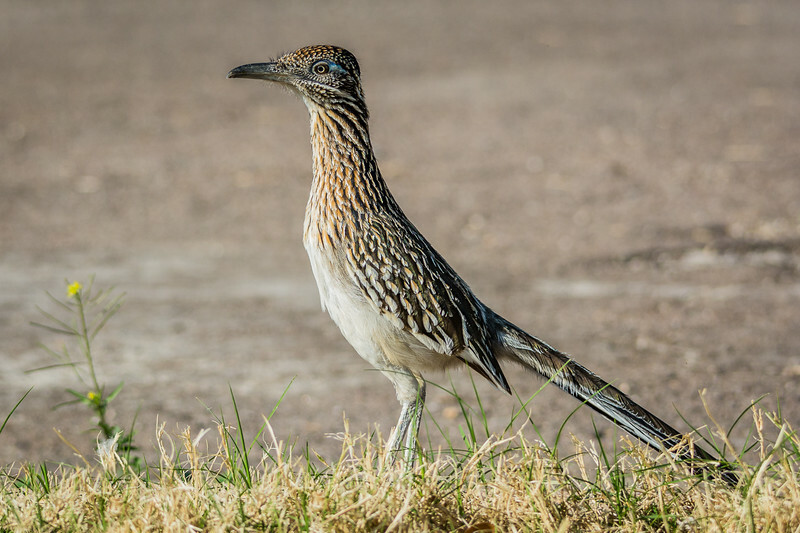 the Greater Roadrunner is very common in the desert southwest. The only other trip on which I saw Greater Roadrunners was in Nevada on the way to Zion National park, so it was lots of fun to see these birds in many different settings.